← Come check out our new showroom @ 621 Old Santa Fe Trail… then take a LONG RIDE!!! These are the classic jerseys that you can wear to dinner at Geronimo! These merino wool jerseys look as great as they feel. It is just about the best material to ride in... it wicks well, dries fast and resists stink. 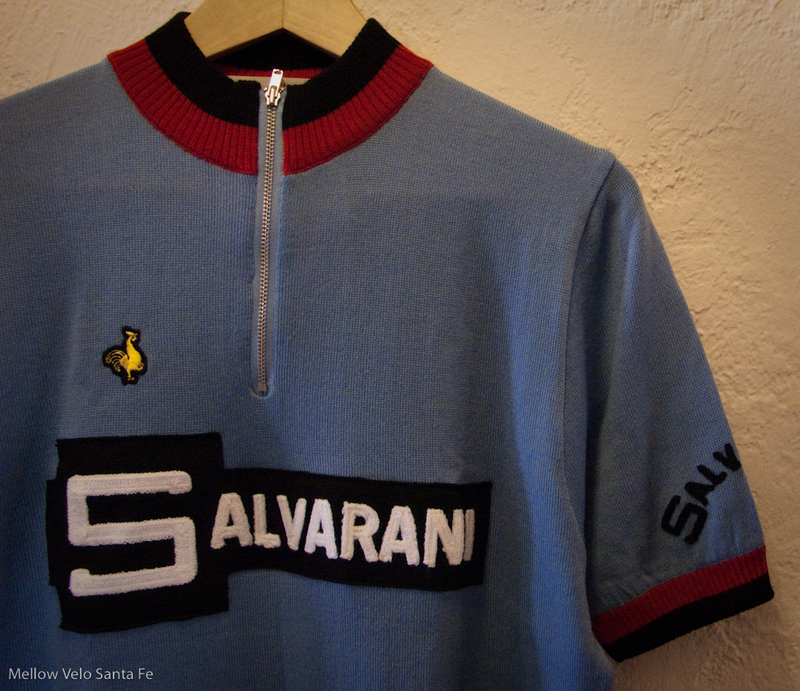 This Salvarani jersey is what the team wore in the Tour in 1972. 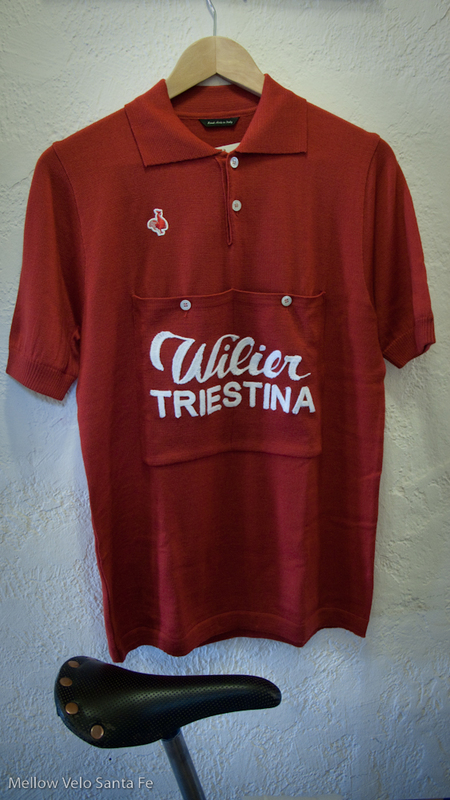 The Willier jersey has two additional front pockets and is a replica from 1951. 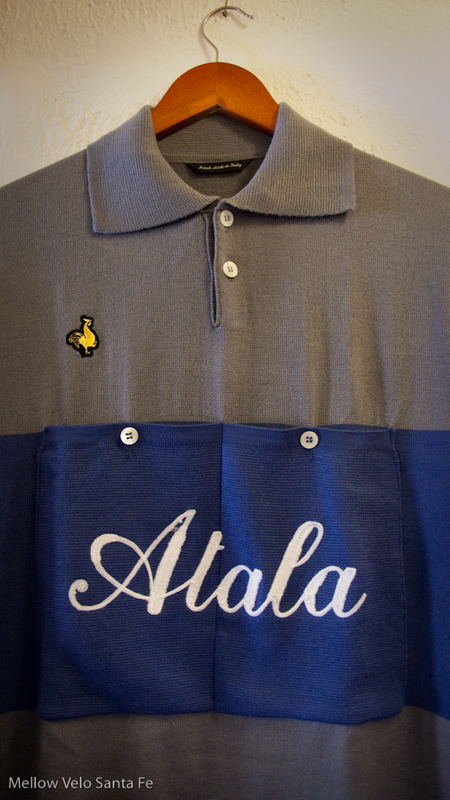 The Atala jersey has two additional front pockets and is a replica from 1949. These really feel just as good as they look, come and check them out!